This Norton Critical Edition of Stevenson&apos;s enduringly popular and chilling tale is based on the 1886 First British Edition, the only edition set directly from Stevenson&apos;s manuscript and for which he read proofs. The text has been rigorously annotated for student readers and is accompanied by a textual appendix. "Backgrounds and Contexts" includes a wealth of materials on the tale&apos;s publication history as well as its relevance to Victorian culture. Twelve of Stevenson&apos;s letters from the years 1885-87 are excerpted, along with his essay "A Chapter on Dreams," in which he comments on the plot&apos;s origin. Ten contemporary responses--including those by Julia Wedgwood, Gerard Manley Hopkins, and Henry James--illustrate Strange Case of Dr. Jekyll and Mr. Hyde&apos;s initial reception. 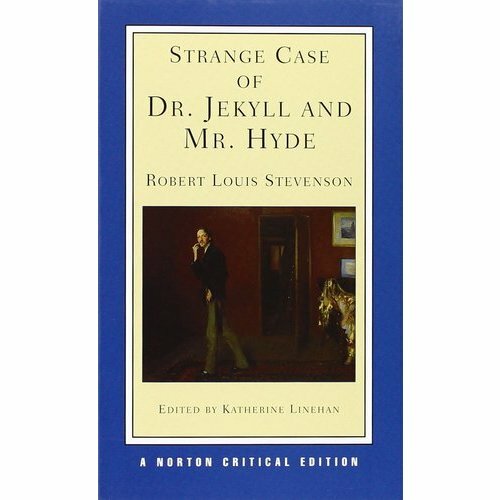 Stevenson&apos;s 1885 tale "Markheim," a precursor to Jekyll and Hyde and a window onto the Victorian sensation market, is reprinted in its entirety in this Norton Critical Edition. Karl Miller, Jenni Calder, and Judith Halberstam discuss literary genres central to Jekyll and Hyde. Four scientific essays--including one by Stephen Jay Gould--elucidate Victorian conceptions of atavism, multiple-personality disorder, narcotics addiction, and sexual aberration. Judith R. Walkowitz and Walter Houghton consider the implications of Victorian moral conformity and political disunity for society at large. "Performance Adaptations" addresses--in writings by C. Alex Pinkston, Jr., Charles King, and Scott Allen Nollen--the many ways in which Strange Case of Dr. Jekyll and Mr. Hyde has been dramatized over more than a century and explores its status as a perpetually effective vehicle for changing psychological and social concerns. A checklist of major performance adaptions is provided, along with a sampler of publicity photos. "Criticism" includes essays by G. K. Chesterton, Vladimir Nabokov, Peter K. Garrett, Patrick Brantlinger, and Katherine Linehan that center on the tale&apos;s major themes of morality, allegory, and self-alienation.